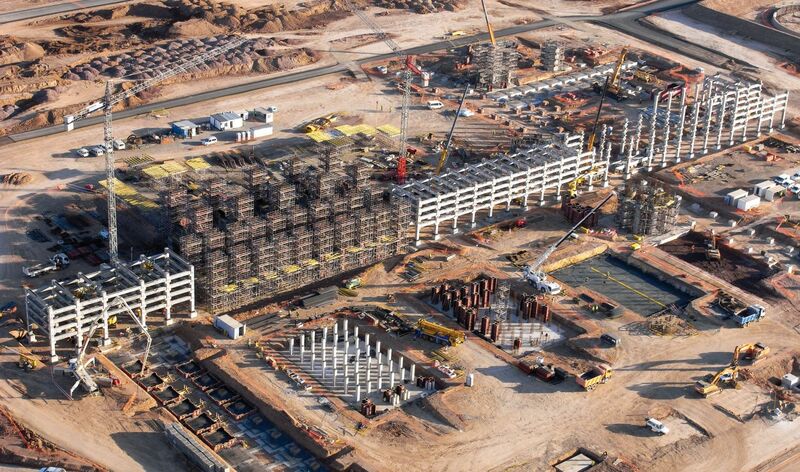 One of the world’s largest lubricant production plants will be completed in South Spain in late 2014. The SK-Sol project is located in the REPSOL Refinery complex in Cartagena, Murcia, Spain. The company is a joint venture between Korean SK Lubricants, world leader in the industry, and Spanish multinational REPSOL. More than € 250 M has been invested in constructing the new production plant. Once complete, the facility will produce 20% of the world demand for last generation lubricant, and some 40% of the demand in the European Union. SK-Sol, the new plant, completes the largest industrial investment ever made in Cartagena, Spain, estimated at € 3.4 bn. The earlier parts of the investment were made a few years ago when REPSOL’s refinery was expanded. Peikko was also involved in the project. The new plant will cover an area of 90.000 m2, divided between a process plant, to be built next to the existing REPSOL refinery, and a storage plant to be built in the port of Cartagena, to facilitate the export of the products by the sea. Once complete, it will offer employment to 160 people. REPSOL chose Peikko to calculate and supervise the design of all the connections of the new Pipe Rack project. The decision was made on the basis of the positive experience the two companies had whilst cooperating on the construction of another refinery of REPSOL in Cartagena in 2009. The engineering company for the new production facility is Ayesa, a Spanish international engineering company, which specializes in industrial projects. Whilst the design and calculations of the project were being prepared, Peikko and Ayesa were in regular contact with one another. The precaster company in the project is Spanish firm Prefabricados Aljema, which is located in Caravaca de la Cruz in Murcia. Peikko supported the company actively by supervising the drawings and visiting their production facilities several times during the process. 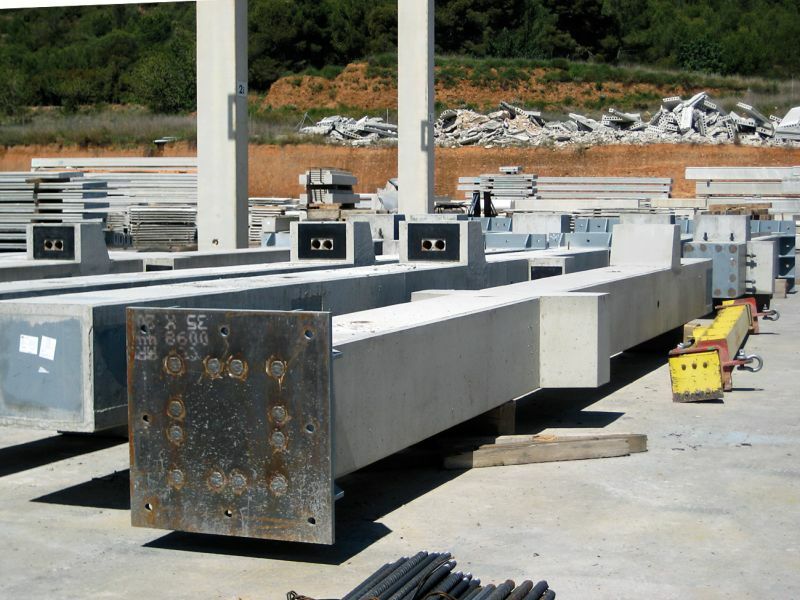 The customers were happy to use Peikko’s products to connect precast columns and beams, noting that they made the construction process faster, safer and more cost-efficient than traditional systems. Sébastien Lardy, Civil Engineer Manager at REPSOL, praised the technical knowhow and support Peikko Spain offered his firm in the project. “Peikko Spain offered great technical support in the calculation and design stages of the project. Without their input, it would not have been possible to solve all of issues emerging. Peikko did a thorough work of detail engineering of the connections that simplified a lot the work of design and construction,” he said. Lardy also noted he considers Peikko’s products to be of very high quality. “Technical documentation and manuals of different Peikko solutions are very detailed and the company has a very experienced technical department. Peikko Designer® software is a powerful and effective calculation tool. The products are of particularly high quality,” Lardy said. 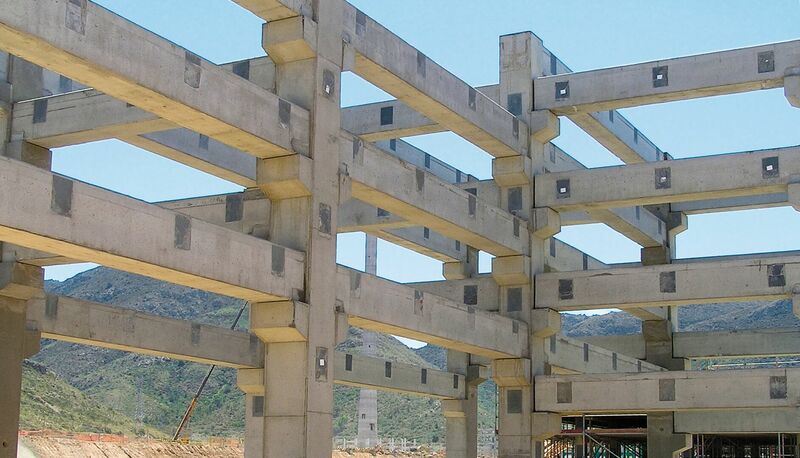 The structural concept of the concrete Pipe Rack frame in the production plant is based on the rigid connection of concrete precast columns to the foundation and the fully rigid joints between concrete precast beams and columns using Peikko’s connections for both. The project is formed by a main multistory precast concrete Pipe Rack with length of 150 m and five smaller Sub-Racks from both sides. The cross-section of most of the columns is 800 by 800 mm although some column sections measure 700 by 700 mm and 500 by 500 mm. 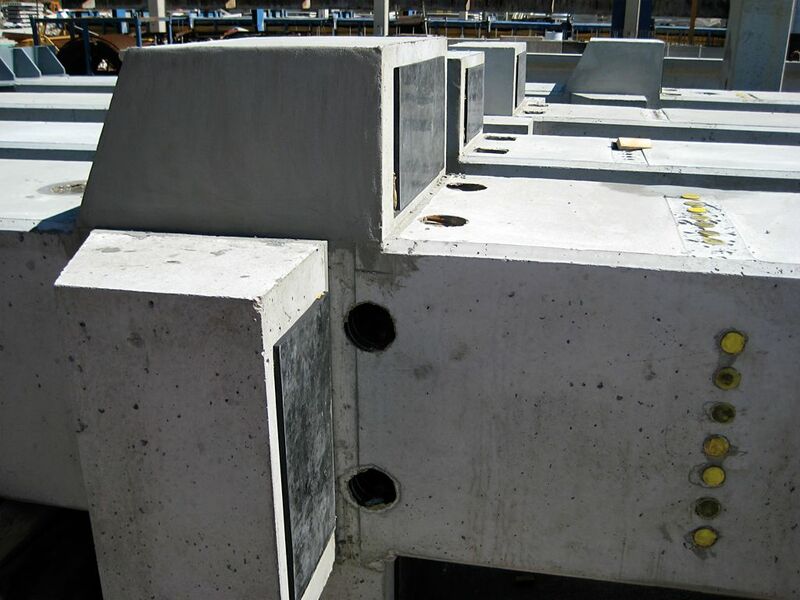 Columns were connected rigidly to the foundation using standard HPKM® Column Shoes. 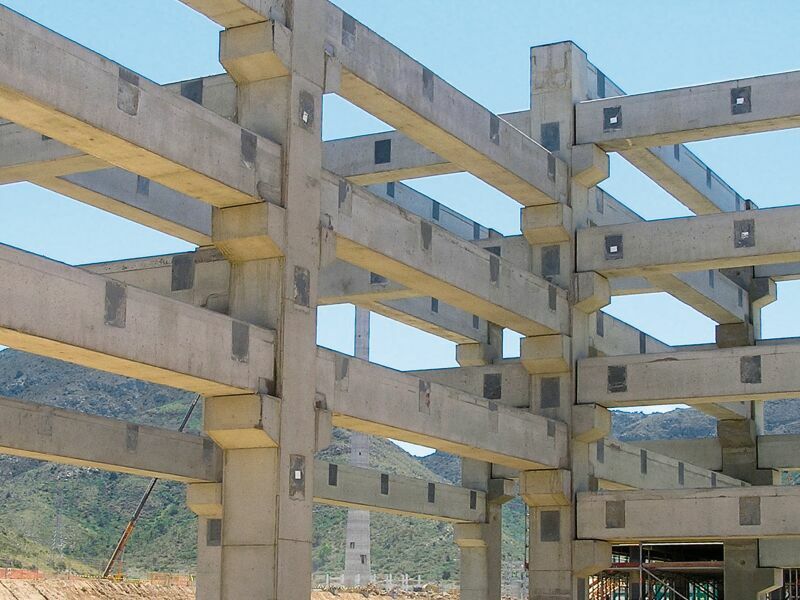 Typically, in a Pipe Rack project as in the case of Cartagena plant, precast columns have several concrete corbels in different directions and on different height levels. 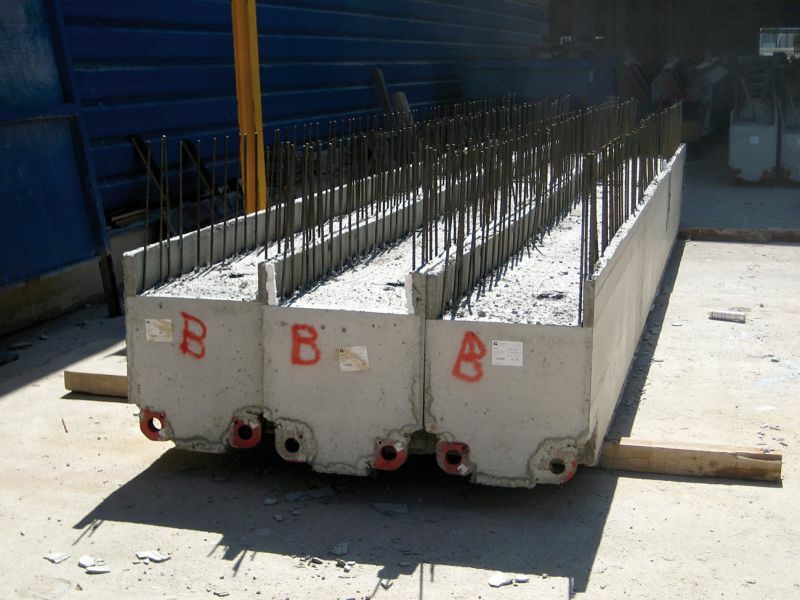 They are needed to support the precast beams and transfer the shear load to columns. Beams were completely prefabricated with rectangular sections measuring 400 by 700 mm and 400 by 500 mm. They were rigidly connected to the columns using standard Peikko Columns Shoes, which are perfect to solve the beam-column connections as well. 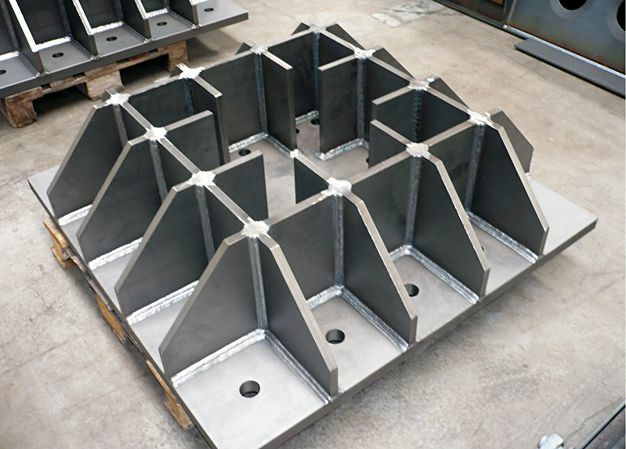 Frame joints are designed to carry both negative and positive bending moments. Peikko Column Shoes are capable of carrying tension or compression as well. A couple of Peikko Column Shoes were installed in the bottom part of the beams and another couple in the top part of the beams. Standard HPKM® and PEC® Column Shoes were used, depending on the bending moments existing in each joint and always trying to standardize the solution as much as possible. 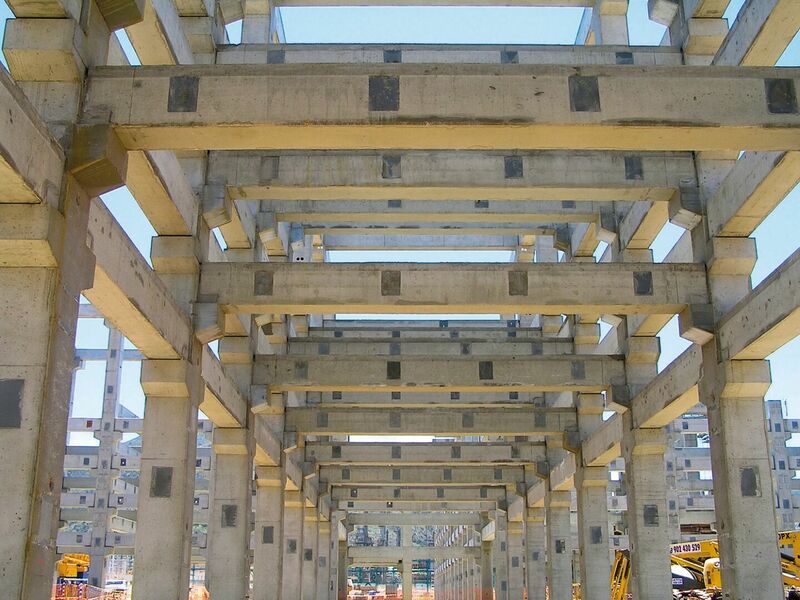 After tightening the nuts of the connections, all vertical joints between columns and beams were grouted completely for its structural function, to protect the steel against corrosion and as anti-blocking system. Peikko visited the building site several times during its construction in order to train people and check that the assembly was done correctly. Jesus Sánchez Ferrer, Managing Director of Prefabricados Aljema, noted the assembly of the different components was speedy. “Peikko’s column connection system provided great safety and speed of assembly because once the nuts are tightened, connections are completely rigid,” he said. “The quality of Peikko’s products is very high and deliveries to the site arrived promptly despite demanding schedule. Peikko Spain team made several visits to the factory and the building site to supervise the different works that were being carried out. We are very satisfied with the cooperation and support Peikko Spain offered us in this project,” Sánchez Ferrer said. Cartagena’s location in a seismic area means earthquake risk must be taken into account in the planning and construction of new buildings. “Peikko’s products match the needs of engineering and construction companies exactly because of this; our Column Shoes and Anchor Bolts have been tested for their earthquake-resistant qualities in several universities and institutions in different countries, and have gotten very good results in the tests,” said Adrian Liste, Sales Manager at Peikko Spain. “Continuous investment in R&D in this field makes Peikko the worldwide specialist in connections for precast structures also in projects with seismic requirements,” Liste added. Lardy of REPSOL underlined how important formal approvals are: “European Approvals and Certifications of Peikko’s products were very important for our project management and so was the excellent performance shown of Peikko’s system in several tests against seismic behaviors,” he said. 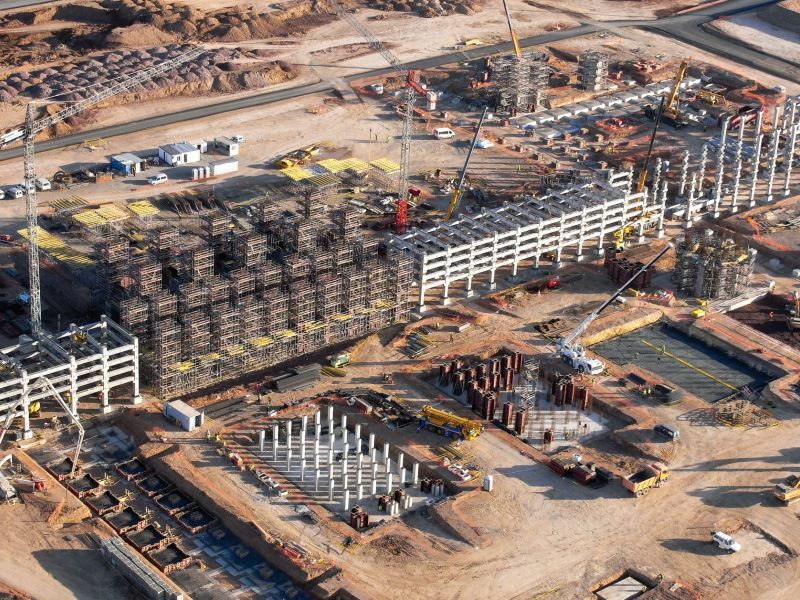 The Cartagena project is particularly important for Prefabricados Aljema because of its massive size and challenging, tight schedule, Sánchez Ferrer said. 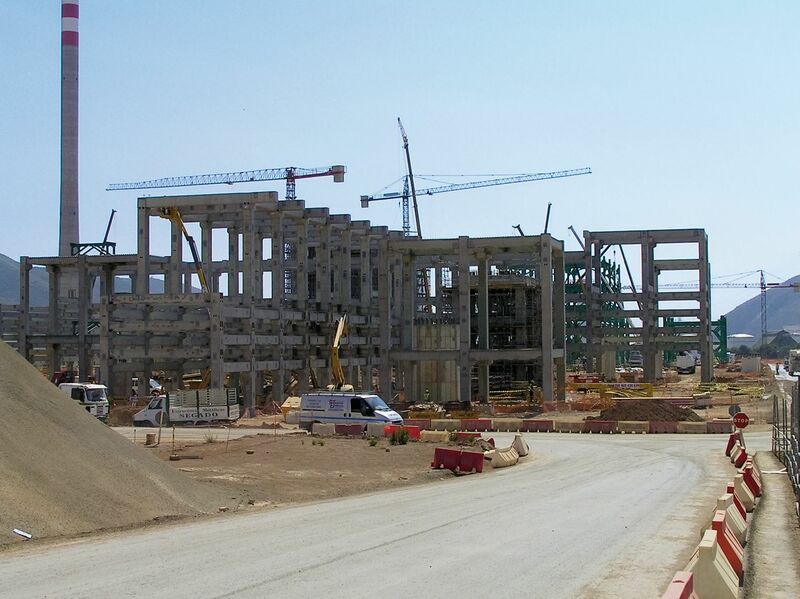 Construction of the lubricants plant started in November 2012, the plant is expected to be running in 2014. "This project has been challenging also because of the strict performance criteria project management required. But we managed to successfully complete confirming the capacity of our company in projects of this size. During the execution of the project cooperation between the technical teams of both companies was just perfect, we were very satisfied with the technical support we received from Peikko,” Sánchez Ferrer said. 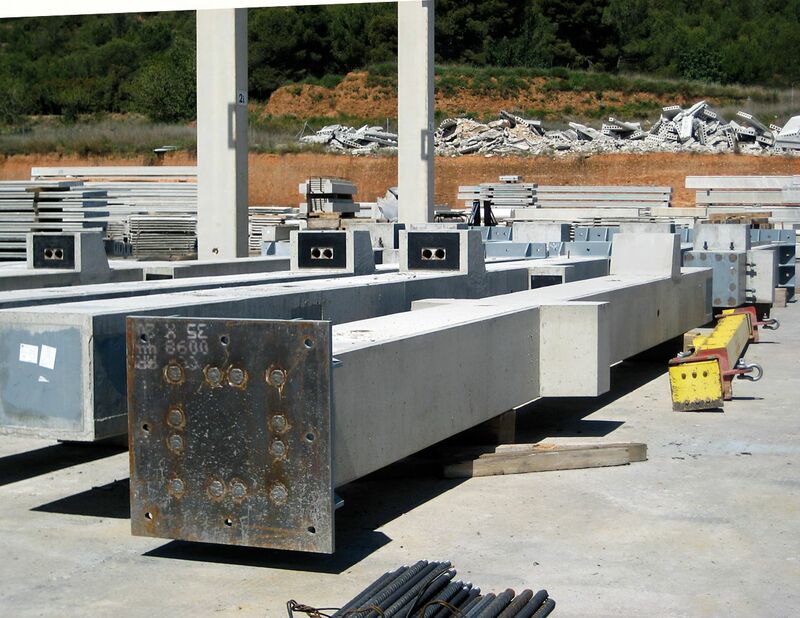 Precast concrete structures are nowadays the optimal solution for large industrial projects, like Pipe Racks, Enrique Hernández, Managing Director of Peikko Spain, said. “We are very satisfied with the excellent results of this important project and the good feedback received from our customers. We gave them a lot of support and service to solve easily and in a cost-effective way all the connections of the precast structures forming the Pipe Rack project. We are proud of the cooperation and excellent results we have had with REPSOL during several years and projects done,” Hernández concluded. Lardy of REPSOL looks forward to using Peikko’s products in the company’s future projects. “We are very satisfied with the cooperation and support that Peikko offered in this project. Peikko gave us a complete solution which solved all the connections of the precast concrete structures forming a Pipe Rack. REPSOL has implemented in our building standards that Peikko products will continue to be used in our future projects worldwide,” he concluded. Peikko Spain offered great technical support in the calculation and design stages of the project. Without their input, it would not have been possible to solve all of issues emerging. Peikko did a thorough work of detail engineering of the connections that simplified a lot the work of design and construction.